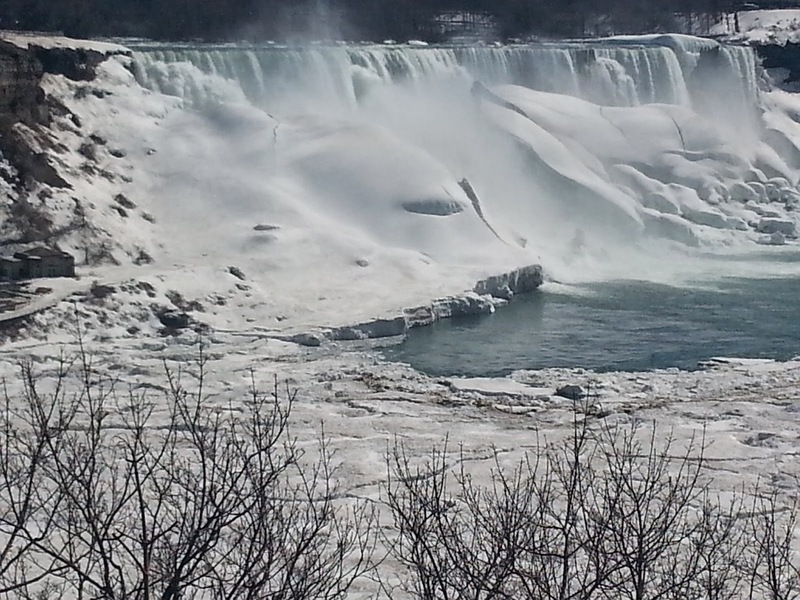 I have to say though seeing the Falls never gets old. 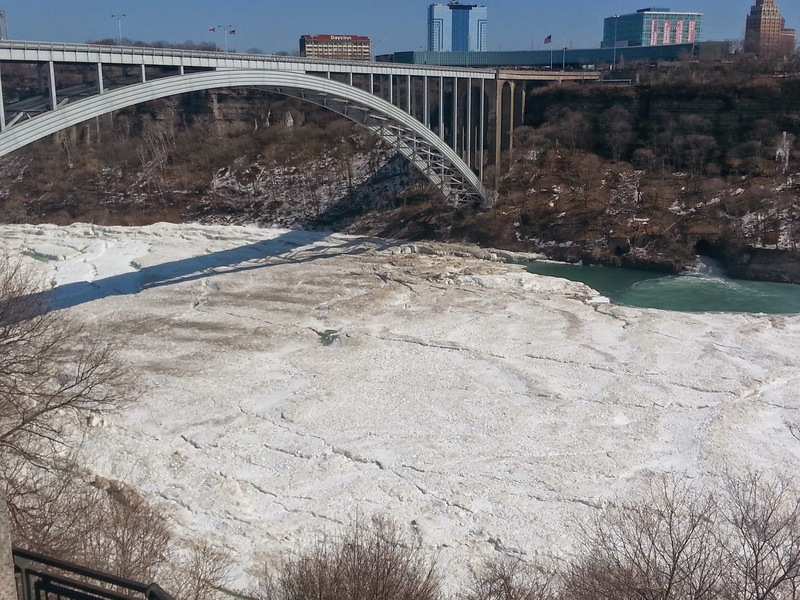 It is just one of those sights you really need to see in person and it gets better at different seasons. Mac was hoping for a rainbow and at the end of our stay we finally found one, no pot of gold though! 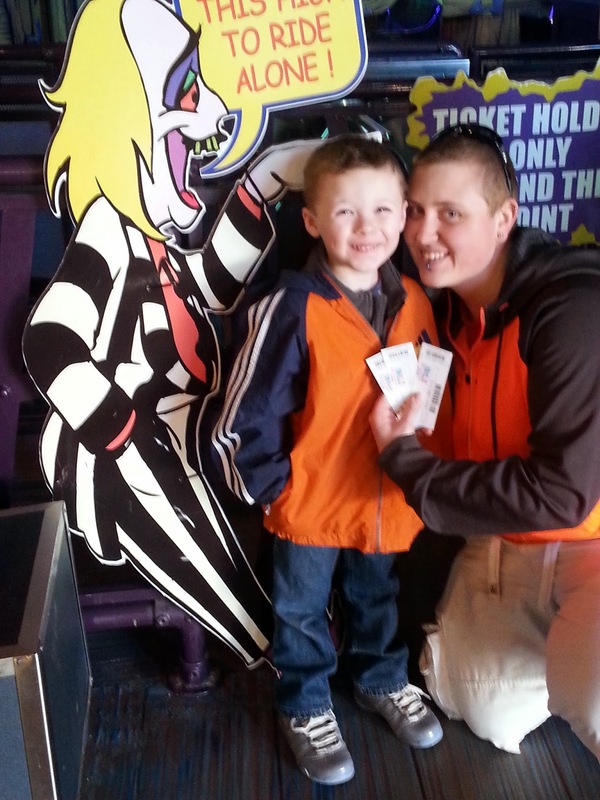 We had fun just walking around, Clifton Hill with him. He was a little unsure at first but got more comfortable as the trip went on. 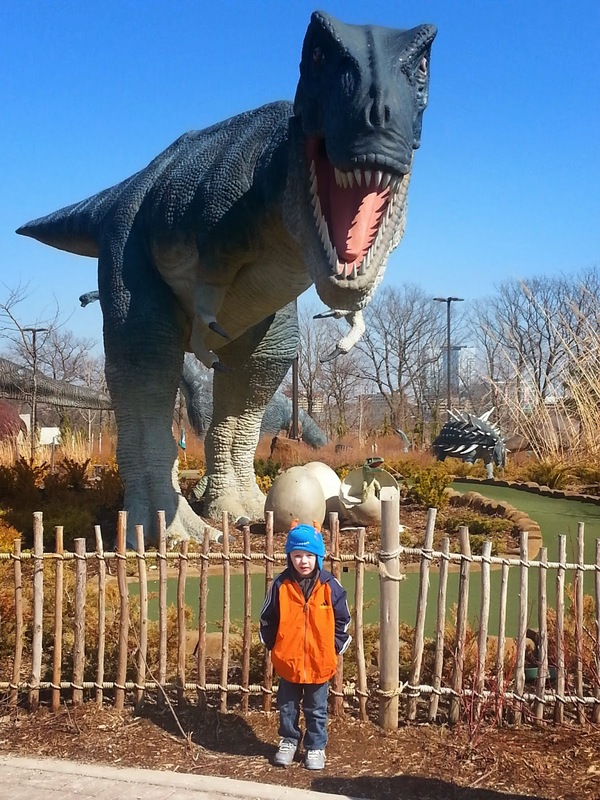 I'm not sure why he would be scared, the dinosaurs where fenced in? He needed a little reassurance here and there. Especially, when they turned the sound effects on! We purchased a combo ride pass. I have to say the combos really save you money! Check out local brochures and ask because they don't always advertise the BEST deals. I was very proud of him on this trip. 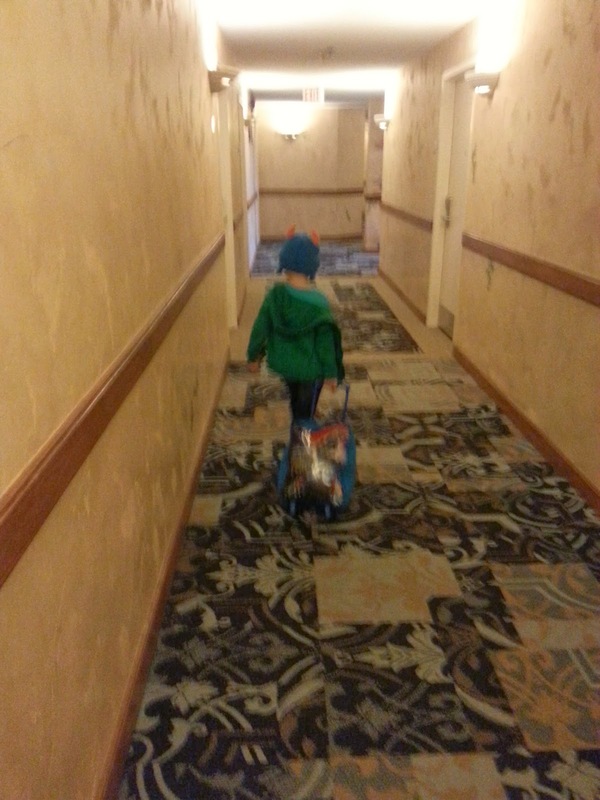 He packed his suitcase by himself, his stufies, lugged his suitcase in and out of places. He is growing up so fast I just love little trips to really remind us how big he has gotten. Ahh to be Four years old again. Nice trip sorry I didn't post much this week! Awesome Dinosaurs! How fun! Thanks for sharing! Just stopping by from the Happiness Is Homemade link party. 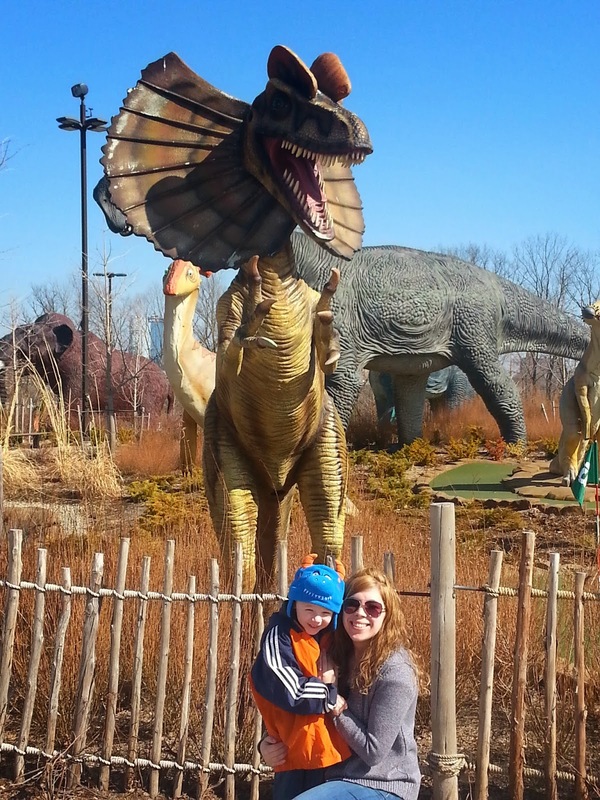 We are empty-nesters now, but nothing made our kids' day more than a trip to a dinosaur park! Have a great day!